OCEAN Grove competitors performed exceptionally well across the two days of competition with their junior under 17 boys and girls teams taking home the majority of team medals for events and individuals. 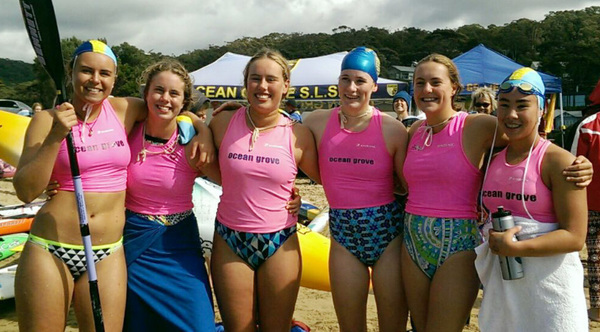 Head coach Sonia Kinsey said this was a very exciting time for Ocean Grove with the majority of competitors still being “bottom age” in their respective age groups. “These are an exceptional group of young athletes that work to together to volunteer to keep out local beaches safe and combine this with excellent athletic performances,” she said. The under 17 boys team took home every event bar one for the weekend, a magnificent performance, she said. 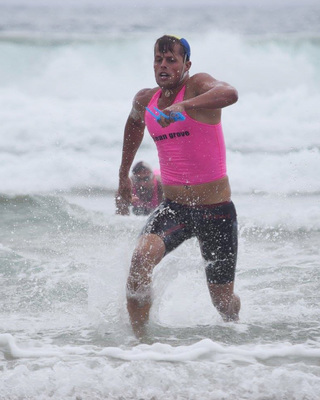 Open competitor Guy Kinsey won the Open Men’s Ironman race for the second year in a row and combined this with finals in every other individual event on the programme. Lucy Conquit also won the Maurie Rayner Memorial award for the best under 19 competitor for the summer season, which includes $1000 towards her travel and racing at the Australian titles in three weeks.